Sorry to bust in on your tread. but when i saw this Pict. i thought that Card is nealy similar to a Halco Woggler Spoon i have. 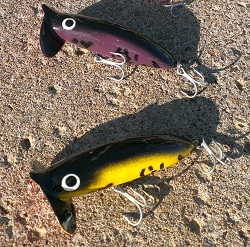 How old would those Lures you have be. Cud imagine my Spoon is in the same range. Do you now anything about the Spoons thy made.